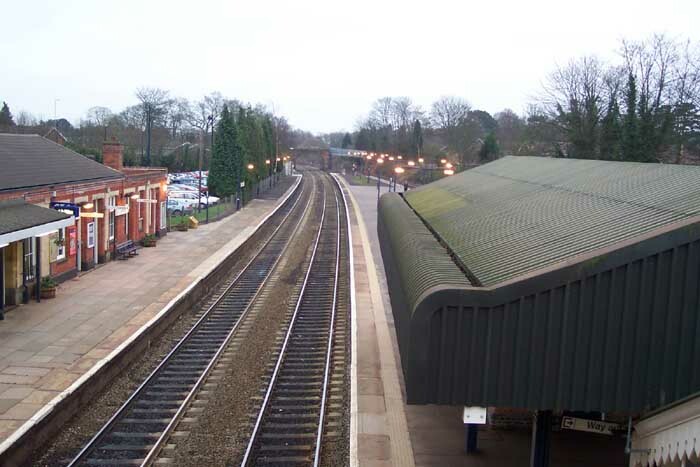 Dorridge station opened in 1852 on the GWR's Oxford & Birmingham Branch as 'Knowle Station', becoming 'Knowle and Dorridge Station' in 1899 before finally becoming 'Dorridge Station' as it is today. Surprisingly on this strectch of line, the station has retained many of its original features. 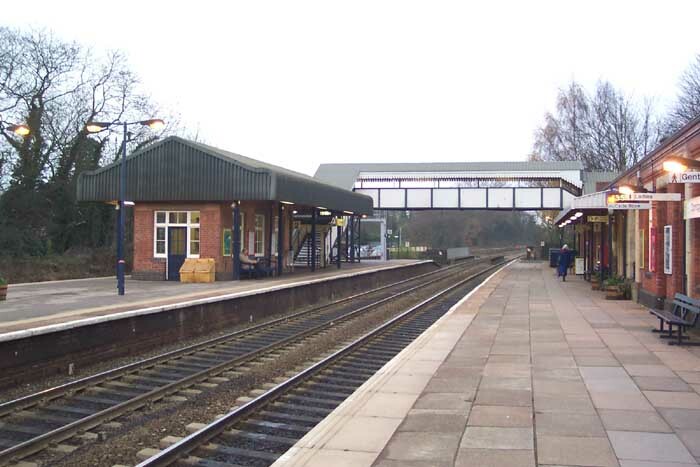 The above photograph shows Dorridge station building from Station Approach which has a very traditional GWR feel to it and makes a pleasant change from some of the more contemporary architecture which has been employed at other stations on the line. Above-left we are on the Leamington Spa platform looking at the trackside of the station building seen at the top of the page. 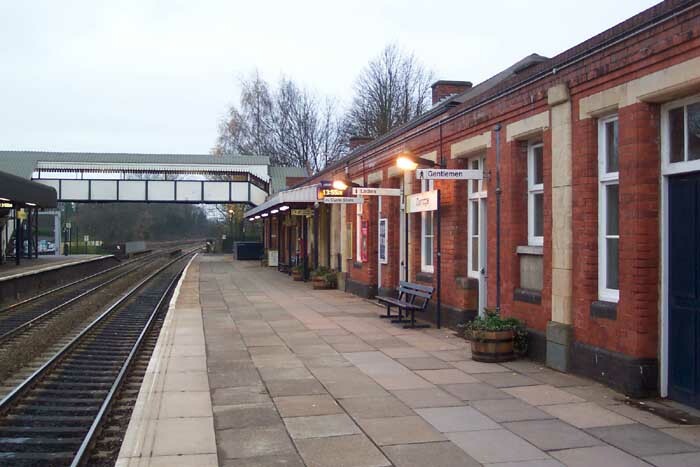 The obvious change from its GWR days is the loss of the platform canopy but other than that there really isn't much to distinguish this shot from earlier photographs of the station. Above-right we can see the island platform and again it is only the roofing which belies the period: the original roof and canopy have been removed. The covered footbridge is also clearly viewable in this photograph. 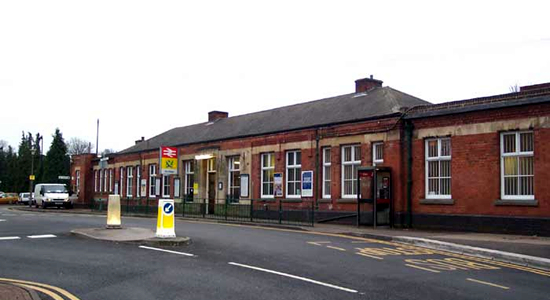 However, what the station has lost, although this does not diminish the appreciation of the period features, is one of its platforms and buildings on the Birmingham-side. 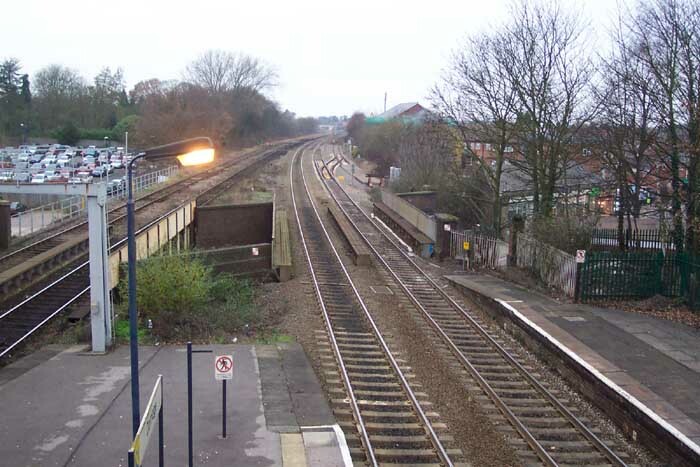 Also, due to this loss of a bay platform the footbridge has been truncated, however, it has been handled sensitively so it hasn't spoilt the overall feel of the station and if one was not aware of the changes, you'd be hard-pressed to notice the loss at first sight. Above-left we are standing on the footbridge looking in the direction of Leamington Spa. This view clearly shows the modernity of the roofing on the island platform building which does look somewhat out of place in a largely 'period' station. Above-right we are in the same spot as the previous photograph but this time looking out towards Birmingham and apart from the absence of goods sidings and the disappearance fo the Birmingham bay platform (to the left and rear of the photographer's position for this shot), not much has changed. I was pleasantly surprised by the retention of original features at this station and would say it is definitely worth a visit.